The staff of the Sullivan County Public Library at 206 Center Street in Dushore invites the public to participate in ‘Giving Thanks for Art’ on Thursday, Nov. 8 with the return of the Free Adult Art Classes taught by Karen Black. Karen’s Free Adult Art Classes are returning to the library once a month on the second Thursday of the month from 6 to 8 pm. Many thanks to the sponsors whose donations enabled these classes to continue: Dushore Founders Day Committee, Artisan Alpacas LCC, Judy Seraberth, Michelle Cannon and other anonymous sponsors. 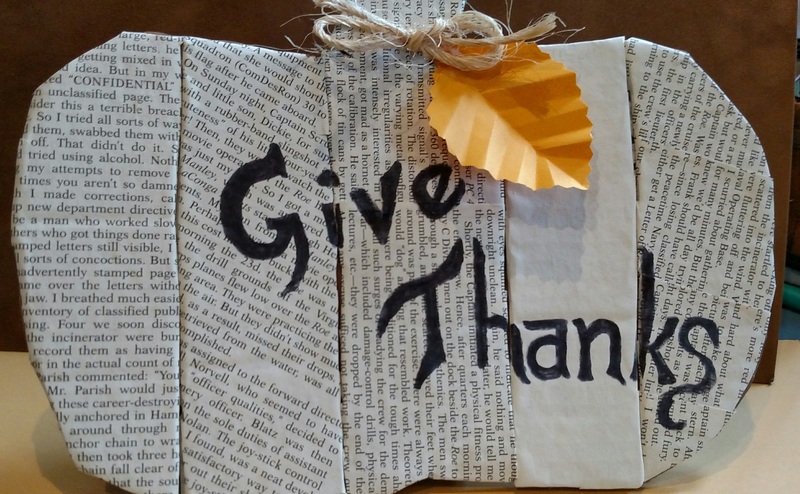 Join Karen on Nov. 8 for a Repurposed Art Pumpkin using old book pages or newspaper and cardboard to create a seasonal decoration. Please sign up at the library or call to sign up so enough supplies will be there. The class is free and includes supplies. Call the library at 570-928-9352. Walk–ins are welcome, but seating cannot be guaranteed.